Dr Hannah McCann is a lecturer in cultural studies at the University of Melbourne. 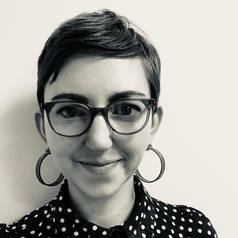 Her research explores feminine gender presentation as represented in feminist discourse and in queer femme LGBTQ communities, Her first research monograph was published with Routledge in 2018, titled "Queering Femininity: Sexuality, Feminism and the Politics of Presentation". She has published in the European Journal of Women's Studies, Australian Feminist Studies, and Women’s Studies Quarterly, writing on topics including postfeminism, affect theory and queer femininity.